The New York State Governmental Accountability, Audit and Internal Control Act (Act), Chapter 510 of the Laws of 1999, requires that all state agencies institute a formal internal control program. This system of internal controls is designed to assure that the State University of New York and its campuses meet their mission, promote performance leading to effective accomplishment of objectives and goals, safeguard assets, check the accuracy and reliability of financial and other key data, promote organizational efficiency and economy, and encourage adherence to applicable laws, regulations and prescribed managerial policies and practices. 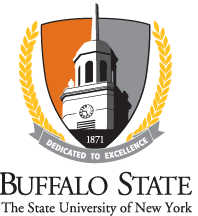 If you have any questions about Buffalo State's Internal Control Program or this website, please contact Lisa Krieger.